Image credit: 'Paul Ryan' by Flickr user Gage Skidmore license CC BY 2.0. Speaking at a news conference on Capitol Hill, House Speaker Paul Ryan cautioned against a rush to debate gun control in the aftermath of the shooting that claimed 17 lives at a Florida High School. Ryan went on to suggest people pray instead, though he pointed out they should really be praying already. Asked when would be a good time to talk about gun control, Ryan, to his credit, didn’t dodge the question. 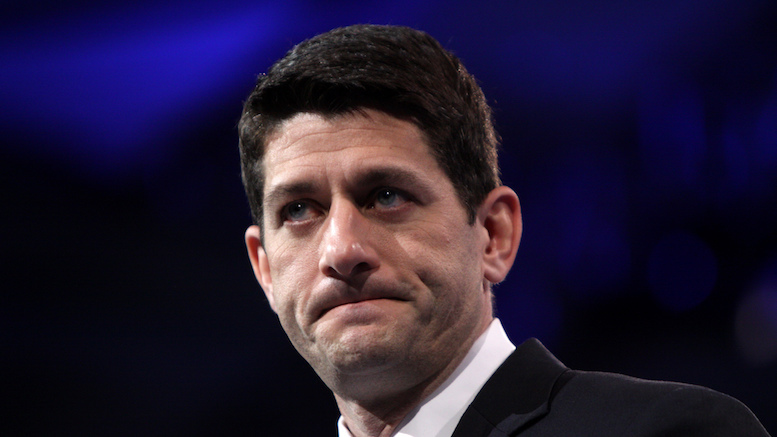 Be the first to comment on "Paul Ryan Says Brief Interval Between School Shootings Not The Time To Talk About Gun Control"